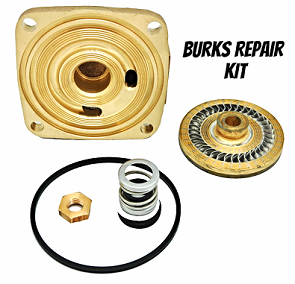 Burks Pumps are versatile, low cost pumps engineered for use on most phases of liquid handling. These end-suction pumps are heavy duty, general purpose centrifugal pumps with heavy wall castings suitable for many commercial and industrial applications such as condenser, chilled, and hot water systems in HVAC, domestic water boosting, water recirculation and process secondary pumping. High efficiencies, robust case construction of cast iron with impeller bronze impellers makes these pumps an ideal selection for applications that require easy-to-maintain, reliable, long lasting pumps.